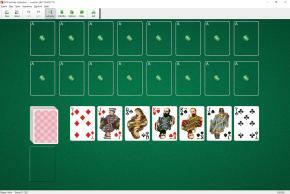 Junction Solitaire uses four stripped decks (128 cards). 2, 3, 4, 5 and 6 of each suit is removed from the deck. You have 7 tableau piles. One card is dealt to each pile at the start of the game. state that you can move only one card at a time. 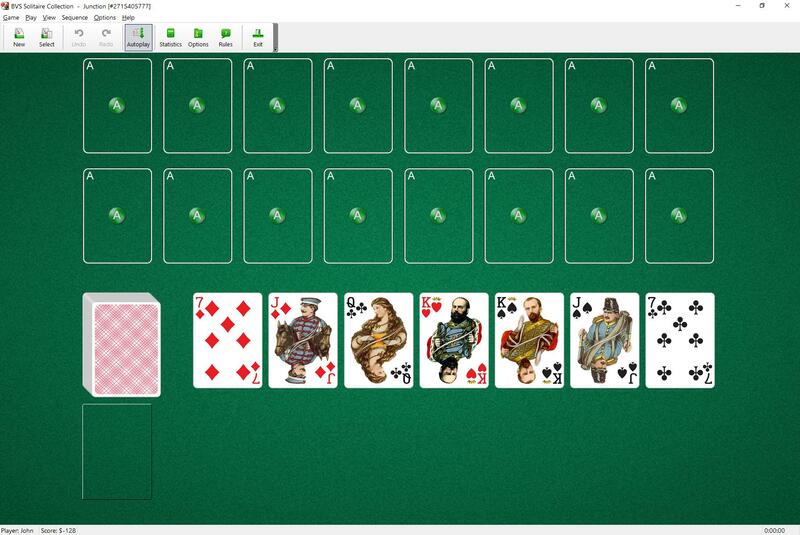 But, as a shortcut, BVS Solitaire will allow you to move a full or partial build if there are enough empty tableau piles, because you would have been able to get the same result by temporarily moving the extra cards into the empty tableaus.